Enjoy free movies & refreshments every Wednesday in January starting at 2:00 p.m. at the Talent Library. January films feature Cary Grant, Debonair Screwball. 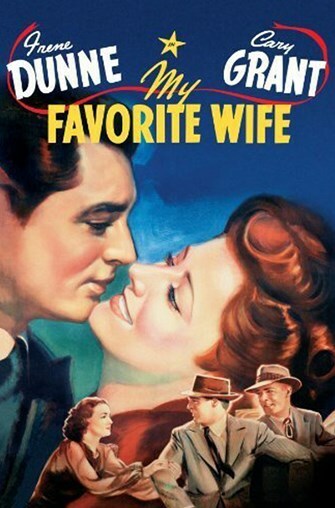 January 16: My Favorite Wife (1940/88m/NR) - Missing for seven years and presumed dead, a woman returns home on the day of her husband's second marriage. Irene Dunne and Randolph Scott co-star with Cary Grant. January 23: The Philadelphia Story (1940/112m/NR) - Katharine Hepburn is caught-up in a romantic triangle with Cary Grant and James Stewart on the eve of her wedding to someone else. January 30: His Girl Friday (1940/92m/NR) - Cary Grant as a fast-talking editor who keeps star reporter Rosalind Russell away from the altar by any means necessary.